NWOYA. 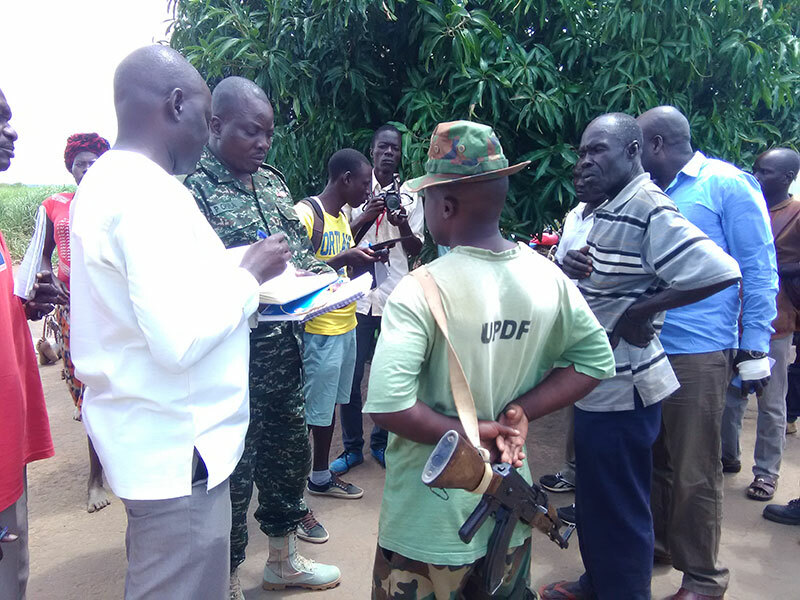 A Uganda People’s Defence Forces (UPDF) soldier on Sunday fired volleys in a local church in Nwoya District after reportedly being denied access to the pulpit. Corp Moses Kabureba attached to the Fourth Division Headquarters in Gulu allegedly stormed the Baptist Church in Alingiri Village and demanded he be allowed to lead sermons to the congregation, but went berserk when Pastor Mark Okello denied him the pulpit. According to witnesses, the soldier reportedly became aggressive and shot four times aimlessly. No one was hurt in the attack, but a 9-year-old girl was by press time missing and a manhunt had been set out by a team of 11 soldiers and over 80 community members of Nyamukino Parish. The girl, Winnie Akello, went missing when the congregation of over 50 people scampered for safety at the onset of the shooting. According to David Aranya, the LC1 chairman of Alingiri Village, the child went missing on Sunday at about 10:00am. “We are searching in the bush and near the stream. She got scared of the gun shots and no one knows which direction she took while fleeing,” Aranya told PML Daily. He said the soldier, who is suspected to have been drunk at the time of the incident, was disarmed by a brave churchgoer Robert Odong, who had reacted during the shooting by wrestling Kabureba to the ground. The AK47 assault rifle with 13 rounds of ammunition was later handed over to Karuma Pakwach Highway Police, who arrested and detained the soldier at Nwoya Police Station. Daniel Okello, Nwoya District Police Commander, said he had joined the team in the community in search of the missing girl. “We picked up the soldier and he is in our custody but I have now joined the community in search for the girl. We don’t know whether she ran to, whether she went to the bush or is with a relative somewhere,” Okello said. The DPC added that the Police are holding the suspect until authority at the 4th Division pick him up and transfer him to their custody. “We are holding him here because he is suspected to have committed a criminal offence and Police handles such cases. We are liaising with the Fourth Division to see how he can be tried in a court. 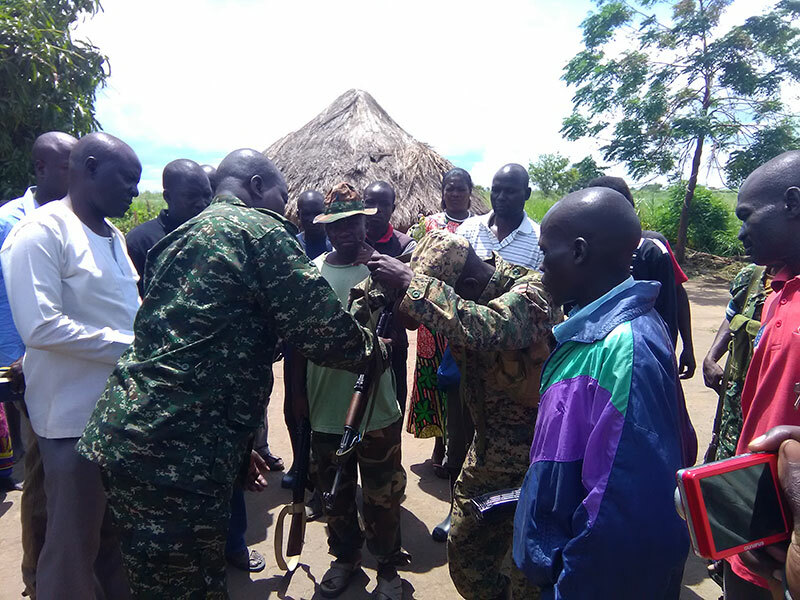 Up to now, we have not yet got any feedback from the 4th division but if required, he will be transferred for trial in a division court martial,” DPC Okello said. Lt Hasan Kato, the Fourth Division spokesperson, told PML Daily Tuesday morning that they have confirmed that a soldier was arrested and is being detained at Nwoya Police Station. “That shooting incident was unfortunate. We have set up a joint investigation with Police to establish the motive of the shooting but what we know is that he was drunk. We are arranging to bring him to Fourth Division Headquarters. He can either be tried in our martial court or a civilian court depending on the outcome of the investigation,” Lt Kato said. Meanwhile, Patrick Okello Oryema, Nwoya District LCV, said the incident is the first in the community. “This soldier got drunk and disturbed people in the church. I have frequently visited this area and you find soldiers freely interacting with people in the community. Soldiers are not supposed to misuse the gun. Justice is what we want to see done,” Oryema said. Three months ago, soldiers were deployed in Alingiri Village in what the Fourth Division commander described as “normal deployment.” Another detach is yet to be set up in Leb Ngec Upper in Lungulu subcounty in Nwoya District. According to Oryema, the deployment has helped maintain peace in the area. 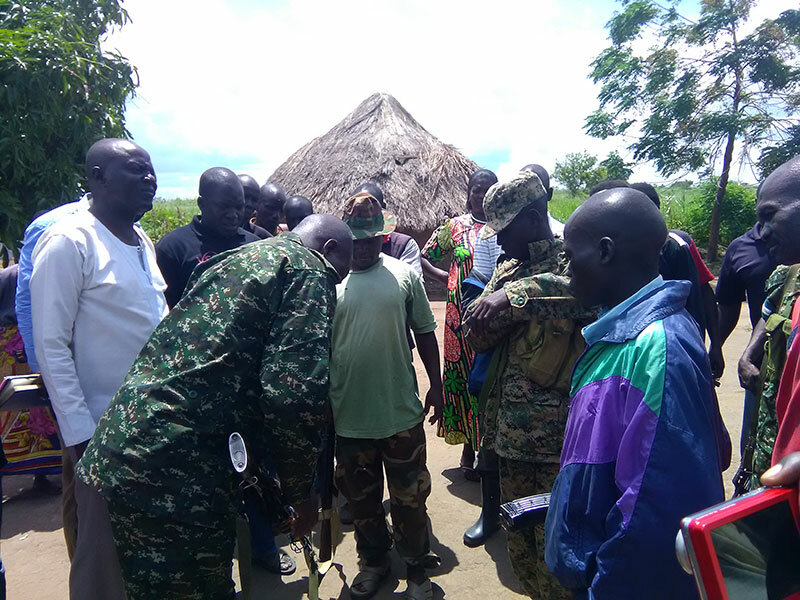 However, the official added that the army should also deploy in the areas of Arana and Obira, which are hard-to-reach but continue to be havens for criminal elements from West Nile and Acholi subregions. “We have a lot of anti-social behaviour in Obira and Arana and these are criminals from other areas taking advantage of the remoteness of this place. Having an army detach here could make them face the law since they can easily be arrested,” Oryema said. Nwoya and Amuru districts are yet to get law courts since they were carved out of Gulu District about 10 years ago. Court proceedings are heard from Gulu High Court.